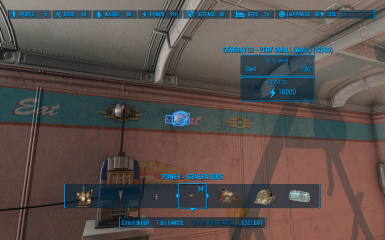 A mod I made as a result of not wanting to slap down a big ol' noisy smoke-producing generator or have a bunch of ugly wires running across my settlement to power street lights. Echo Lake Lumber Rebuilt (5, 50 & 100 ) V 2. Do not upload elsewhere, period. Assets are default Fallout 4 assets so there's no need to ask me. My 2nd mod to ever make the hot files! Thank you! Power production available in the following: 5, 10, 50, 100, 1000, and 10000. You can use as many files together as you want. Be wary however, using all of them might clog up your "Generators" tab. Each ESP adds 3 Very Small Generators that produce the power listed at the end of the ESP. 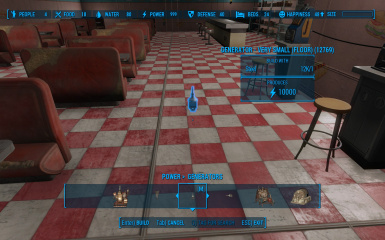 For example, "VerySmallGenerators5.esp" adds floor, wall, and ceiling generators that produce 5 power. 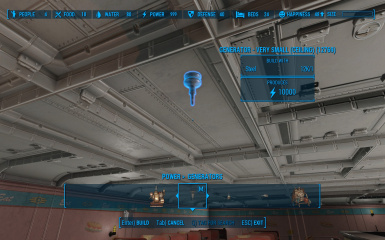 A mod I made as a result of not wanting to slap down a big ol' noisy smoke-producing generator or have a bunch of ugly wires running across my settlement to power street lights and other appropriately small electronics. Also because there are some electronics I use that don't take passive power from conduits, and I don't want to edit every single form for every object that doesn't use passive power, so I made a simple solution. Plus, these can stick to the walls, floor, or ceiling so they can be very out-of-the-way.